Chill fruit juices and 7-Up. Prepare 7-Up “ice” cubes by pouring additional 7-Up into 2 ice cube trays. Freeze. 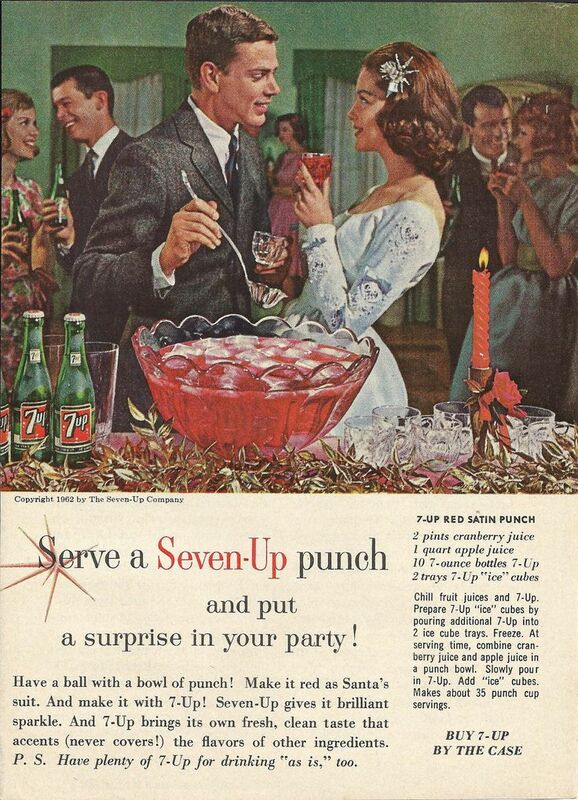 At serving time, combine cranberry juice and apple juice in a punch bowl. Slowly pour in 7-Up. Add “ice” cubes. Makes about 35 punch cup servings.